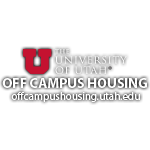 In the Union, rooms 311, 312, 319, 323, Den, Theatre, and Parlor B can be booked online. Students and student groups can also reserve four rooms in the Carolyn and Kem Gardner Commons building after 3:30 pm. Gardner 1760, 1770, 1780, & 1790 can only be reserved by students or student groups. To reserve other rooms such as the Ballroom, please email us or give us a call at 801-581-7251. 1. Go to “my home” and click on “request an account”. 2. Add all your information and click “request an account”. 3. We will email you once your account has been activated. 1. Once we approve your account, sign in with your user id and password. 2. Select the “create a reservation” button in the menu. 3. Click on the “book now” button to request a room. 5. Fill out the required information on the Reservation Details page and click “Create Reservation”. 6. Your request has been sent and we will email you to confirm or alter your reservation.